Going on holiday, driving to the airport? Pre book your airport parking with Holiday Extras and save 60% on the car parks daily prices! What's more, book via Troopscout and receive up-to an additional 21% discount! Pre book on airport parking, meet & greet parking or park and ride. Got an early start? Traveling with children? 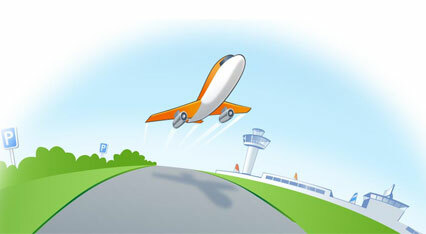 Start you holiday relaxed by traveling to the airport the night before you fly. Wake up feeling refreshed after a good nights sleep in one of our airport hotels, have a discounted evening meal and breakfast. We have hotels close to or at the airport. Parking and transfers can be included too. Is this a special holiday, if so book into on of our airport lounges. Enjoy some peace and quiet away from the main terminal. Book into a lounge for up to three hours before your flight and enjoy complimentary drinks, beer, wine, soft drinks, tea coffee and snacks and nibbles. Plus magazines and newspapers. Enjoy up-to 21% discount on all of these products. The further in advance you book the better choice and value you will be offered. Click on 'Get Deal' to compare prices, book and receive your discount. Deal not valid with any other voucher or promotion. Discount not available at certain car parks. Prices do vary from airport to airport and between products. Price do rise as the availability drops and the closer you book to you departure date.